It’s time to get real. We all need a budget! Here are four keys to success. Budgeting. It’s one of those things we know we should do—but a lot of us don’t. Even just reading the word might make you cringe. But, folks, it’s time to get real. We all need a budget! But I also completely understand if you’re too scared or unsure of where to start. 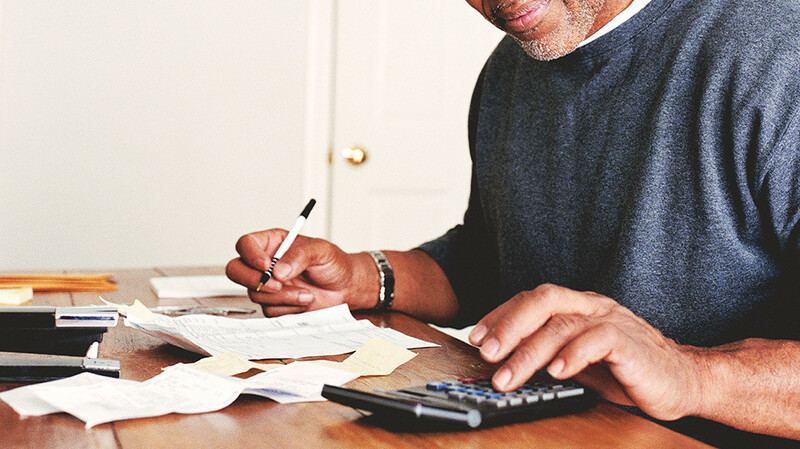 If you’ve never done it, the process of actually creating a budget can seem overwhelming. And even if you know the basics, the idea of sticking to one might make you think all the fun’s been sucked out of life. But I have good news. Budgeting is really easy and can actually be kind of fun! The way I see it, a budget’s not a list of rules telling me what I can’t do with money. It’s more like permission to spend because I’ve planned for it ahead of time. This is so important! If we don’t create a budget before the start of the month, all we’re doing is tracking our spending—not budgeting. And that means we’re just watching our money go where it wants to go and recording it, not telling it where to go. Our budget also needs to be zero-based. That means that our income minus our outgo should equal zero. Every dollar has to have a planned destination! At the end of the budget, all income should have been given, saved or spent, on paper, on purpose! Even if you want to have “fun money,” plan for it, whether it’s $20 or $200 a month. That way, you can still scratch that itch of (planned) spontaneity whenever it strikes. When budgeting, the order in which we budget our money is important. The Bible calls us to always give to God first: “Honor the Lord with your possessions, and with the firstfruits of all your increase” (Proverbs 3:9 NKJV). Once you know your total income for the month, calculate 10% and set that aside for your tithe. Then we need to address savings, or paying ourselves. If we don’t give and save first, those two things will never happen. We’ll spend everything and think we have no money for anything else. Only then can we address spending. Start by securing your Four Walls: food, clothing, shelter and utilities, and transportation. Then begin allocating money into all the other categories where you spend each month. Not sure where? Look at your bank statements to get an idea of where your money is going. Remember, you can always adjust categories later if you need to. Housing costs are a big stumbling block for a lot of people when they’re trying to get their budget on track. Housing should not exceed 25% of your monthly income. If it does, you have too much house! And that means you need to do something about it before you find yourself drowning in rent or mortgage payments. If we want to be financially successful, that means we need to work toward having plenty of money in savings and investments. A high income doesn’t guarantee that, and a big house doesn’t either! You have to be okay with making sacrifices, like downgrading in home, to get there. That’s a good reminder for us all. Now, these are just recommendations. For example, a family of eight would have a higher food budget than a family of two, so consider your own circumstances and make some adjustments. You can let your spouse make some adjustments during the budget meetings, as well. Creating a budget is a team effort if you’re married. Use this as a starting point. Just keep in mind that if your costs in areas like food or transportation are higher than recommended, you’ll have to scale back in other categories to make up for it. Remember, if you find that your budget isn’t perfect the first month or two, that’s okay! It takes most people about three months to get it right. Once you do, though, I promise your budget will be the key to helping you take control of your money and steward it in a way that honors God! EveryDollar helps millions of people just like you take control of their money to achieve their money goals. Pay off debt and save big this year with EveryDollar.